Each of our staff members are highly qualified instructors. To find out more please call our office and speak to them directly. 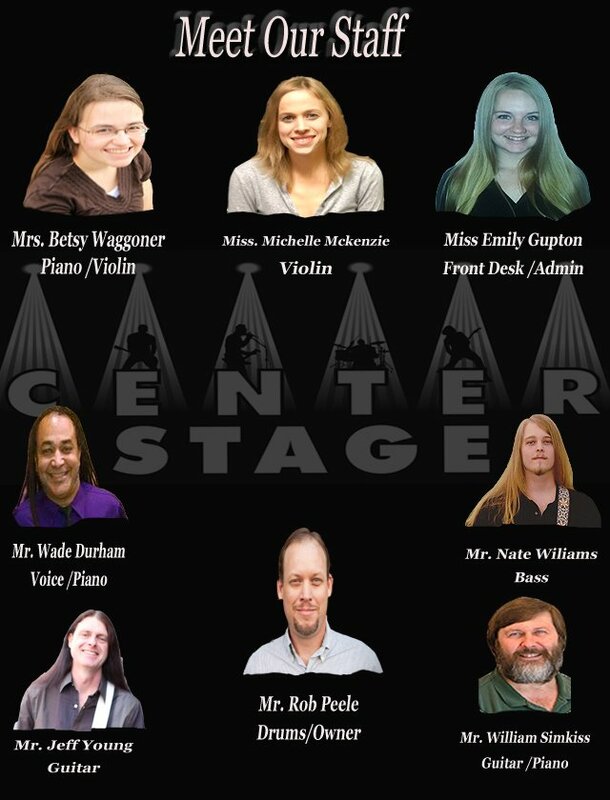 Why is Center Stage Music School different? that music can help them to become the best that they can be in every aspect of their life. We teach by technique but custom tailor our methods to meet the needs of the individual, make each lesson easily understood, and fun. We feel that performance is a necessary goal to motivate and foster well round students so we offer a winter and summer recital.